Date posted: April 14, 2015 by: JasonDarkX2 Category: Gaming one comment. With the announcement of rock Band 4 earlier this year, rumors hinted the return of Guitar Hero making a return to gaming markets too. After a long five year hiatus, the series, it’s now ready to make a comeback to everyone’s living and redefining what it is meant to play a real guitar. Activision proudly presents Guitar hero Live. 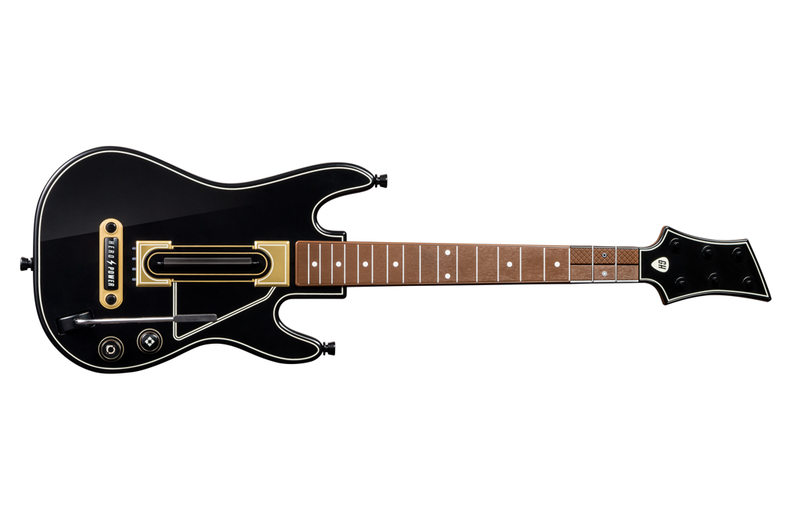 The next generation of guitar hero now with redesign guitar and 24 hour music updates. Available Fall 2015 for the PlayStation®4, PlayStation®3, Xbox One™, Xbox 360™, Nintendo Wii U™ and Select mobile devices for the price of $99.99. Guitar Hero Live also be introducing GHTV, the world’s first playable music video network. GHTV is a 24-hour mode that lets gamers play along in a continually-updated collection of official music videos – across a wide variety of genres. The game will feature hundreds of playable songs from a diverse array of artists, including The Black Keys, Fall Out Boy, My Chemical Romance, Gary Clark, Jr., Green Day, Ed Sheeran, The War on Drugs, The Killers, Skrillex, The Rolling Stones, The Lumineers, Pierce the Veil and Blitz Kids, with many more bands to be announced in the coming months. As for the controller it too is getting a sleek new redesign to enhance the game play for veterans and beginners. Now featuring two rows of three buttons to allow players to play naturally without will players stretch their fingers down to reach the other buttons. Players can skillfully play two-row combinations that mimic real chords. The redesign in my opinions sounds really nice since I’ve never enjoyed playing the original 5 buttons guitar. The new design of the guitar looks so attractive too opposed to the old white controller I had. I think it’s time to buy a new guitar lol,I excited to give the guitar hero another try when Guitar Hero Live launch Fall 2015. So who’s excited for the new guitar hero live? And who we’ll join me in the epic quest of becoming guitar heroes? First comment *does air guitar* tbh Guitar Hero was such a fad.